As well as offering you great ideas for Father’s Day (hint hint) and telling you all about our team at Red Letter Days, we also want to take you behind the scenes to meet the people who run our experiences. So we interviewed Liu from Animate & Create, who run our animation experience days, to find out what it’s like to work at their model and film making company. Could you please introduce yourself and tell us what do you do at Animate & Create? Hi, my name is Liu, and I am the Animation Team Building and Experiences Days Events manager at Animate & Create. I promote animation workshops as a fun, exciting and engaging activity for companies and individuals to experience what it’s like to be part of an animation film crew, making their own short film. Can you tell everybody a little bit about the company, it sounds like a fun place to work? Animate & Create is a really fun place to work. As a young team of professional animators, everyone is really creative and enthusiastic about coming up with new ideas and using animation to inspire people. How easy is it to make a model, what is the process that goes into producing a clay figure? 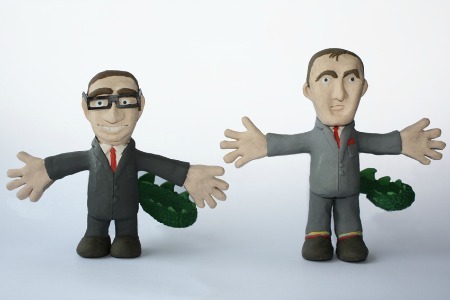 Making a model is very easy; for all our workshops we provide a pre-made customisable plasticine ‘Mini-Me’ characters – which participants then ‘dress’ in plasticine to turn their model into a character of their choosing. We also provide example sheets of characters made during previous sessions which help to get the ideas flowing. No matter what your level of creative experience, everyone can create a fun looking character, and our animators are always on hand to give tips and guidance. 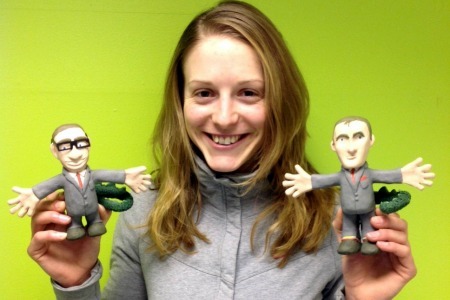 We’re flattered, how did you come to make up models of both the Red Letter Days owners? We thought making some models of Theo and Peter would be a great way to show how our ‘Mini-Me’ models really can be turned into just about anyone and anything you could imagine. We thought it would be a fun twist to give them dragon tails too! If you could make a model of anyone in the world, who would it be? A model of Lady Gaga could be quite funny! But the tricky bit would be deciding which famous crazy outfit to put her in! How do your specialised days help with team building? Our animation workshops involve teams working together as a animation film crew for the day – which involves taking on a variety of constantly changing roles throughout the session. 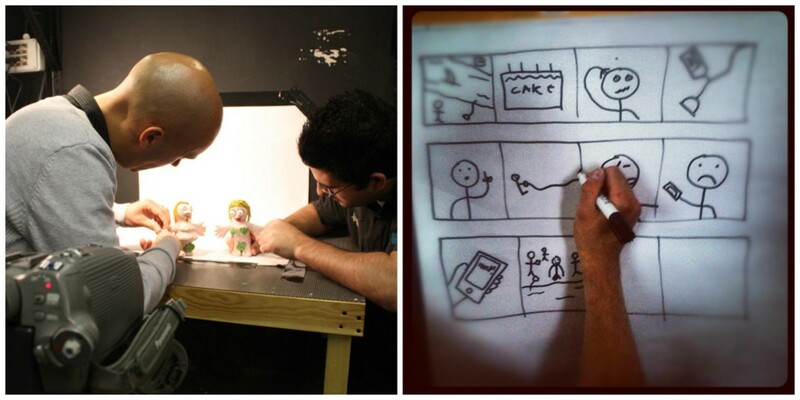 Animation is both creative and practical so teams must communicate clearly and work together to come up with a storyline for their film, create models, and then do everything involved in bringing those characters to life, using stop motion animation. Depending on the theme chosen for the workshop, films can be tailored to specifically address issues to help overcome creative challenges by looking at them from a new point of view and having to make them visual and ‘tangible’ in plasticine. 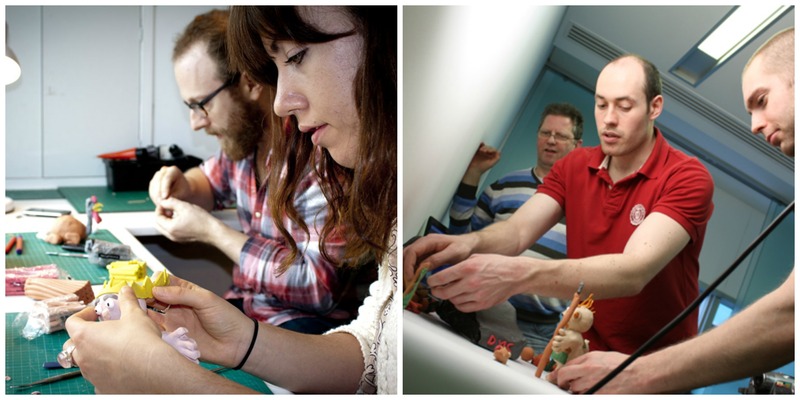 You team up two very different creative aspects – model making and film, how does that work? The teams start by coming up with the idea and storyline for their film, then deciding the characters that will be needed to star in this film and communicate the message. They then delegate between them who will make which model; everyone makes (and takes home) their own model. During the animation/filming part of the session, participants will animate their own model, which ensures that everyone gets a go. You form an important experience in the Red Letter Days’ portfolio. Is there any Red Letter Days experience that you have done or would love to do? 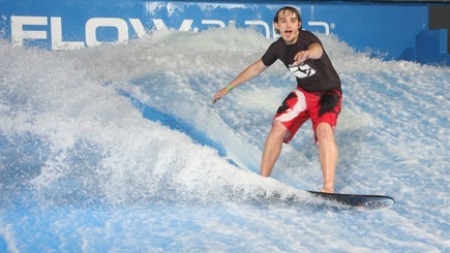 I’m really into water-sports so I would love to have a go on the Flowboarding experience! Liu, it’s been fascinating and fun, thanks for giving us the inside scoop on your amazing experience!